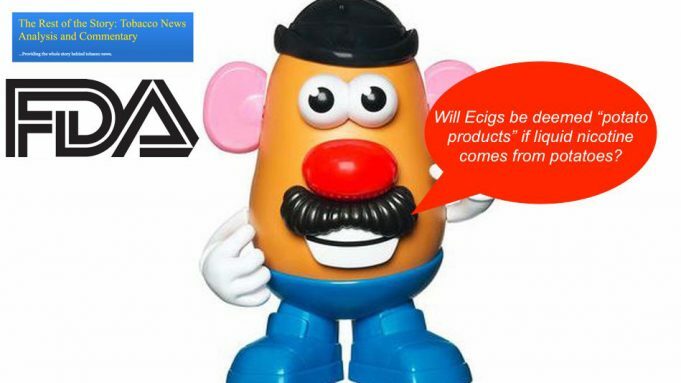 In a parody of a FDA guidance, Michael Siegel on his Blog wants to illustrate the absurdity of regulating e-cigarette as tobacco products. He deplores that FDA’s logic has been so terrible that readers can hardly make the difference between official texts and parodies. Currently, the FDA considers e-cigarettes as a product of tobacco and regulates them as such. After questioning the FDA about their regulating nicotine-free e-liquids, the Administration replied that they would be regulated the as tobacco products because they were intended to be used with vaporizers themselves deemed tobacco products as they could be used in combination with nicotine e-liquids. So Michael Siegel’s question is legitimate: With liquid nicotine extracted from potatoes, would it mean the e-cigarettes may then be deemed “potato products”? 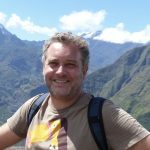 His satiric comment addresses the hypothesis of an e-liquid whose nicotine does not come from tobacco crops but from another Solanaceae, potatoes. The same example could have been chosen with eggplants or tomatoes that are from the same family. By copy-pasting the same text and substituting tobacco by potato and adapting , the writes: “E-liquids that contain nicotine derived from potatoes do not meet the statutory definition of “tobacco product” unless they are reasonably expected to be combined with a tobacco product. However, since e-liquids that contain nicotine derived from potatoes are “potato products, the agency declares that such products must comply with Marketing Order No. 946, as amended (7 CFR part 946), regulating the handling of potatoes”. The trickiest part of Michael Siegel’s demonstration is when he describes an overall increase of “Potato use” among high school students in relation with their use of potato e-liquid nicotine. The parallel with the current problematic of e-cigarettes popularity among teenagers is smart but what could then be the gateway effect of using “potato products”? To get addicted to Ketchup and chips? And what is the next step, to ban garlic flavor in potato chips? 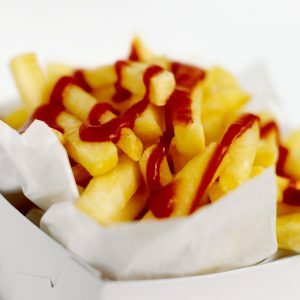 Note that Ketchup, from its English origins with mushrooms or walnuts (source Wikipedia), has turned to be a “Tomato product” in the last 150 years. Don’t you see any coincidence between the rise of tomato ketchup and tobacco cigarettes? Is a conspiracy with the Big Tomato industry underway? What is behind the expression “arbitrary and capricious”? More seriously, employed by Michael Siegel, “arbitrary and capricious” are legal terms traditionally invoked in court for a decision taken without reasonable grounds or adequate consideration of the circumstances, for example when the precautionary principle is applied in an erratic manner that appears to be based solely on the political and economic interests of the decision-maker. The “arbitrary and capricious” argument has been employed by Nicopure Labs in their legal challenge with the FDA. It refers to the agency’s deny of the scientific ground in favor of vaping and their zealous prorogatives to vanish most vaping products from the US landscape in virtue of the precautionary principle and because the regulators do not apprehend the emergency of reducing, by any means, the harm caused by tobacco. And based on the recent analysis carried out by the UK’s Royal College of Physicians, vaping is one of the most successful means to do so.